Today is Good Fences link up day! A courtesy of the The Run*A*Round Ranch Report. 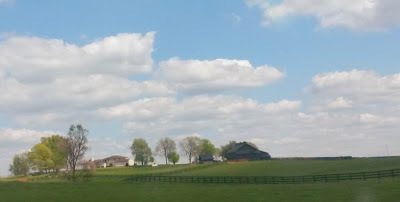 Today I am sharing some good ole' Kentucky country fences found on a day drive through Winchester, KY. Here's a shot from pretty far away, as I approached. And then here a bit closer you can start to see the cute, wooden, black plank fence. And then it gets prettier as I go down the bank and the sky begins to be the backdrop for only the fence. But then again, I always love anything to do with the country! Hope you enjoyed my shots of country fences. 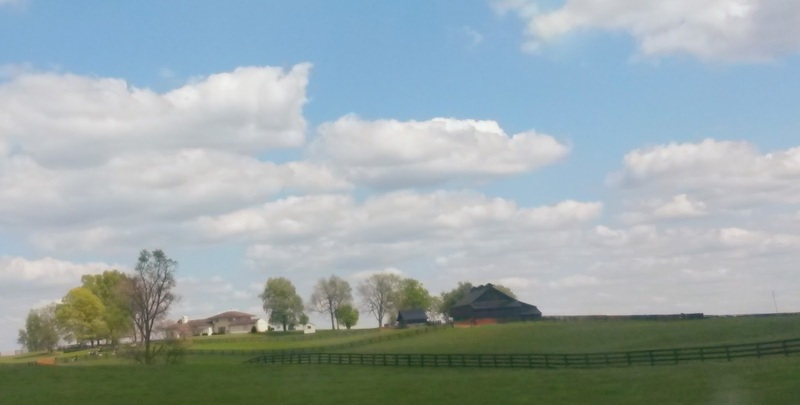 for hosting the Thursday Good Fences Linkup! Hello, gorgeous sky and lovely fence scenes. It is beautiful in Kentucky! Thank you eileeninmd! Have a great day as well! 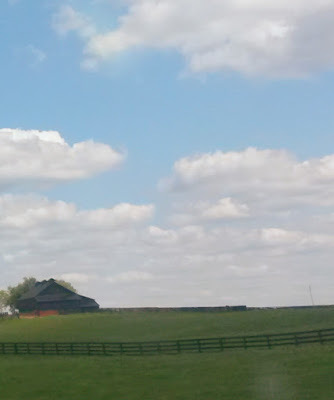 A lovely look at what I'm assuming is horse country! It sure is EG CameraGirl! 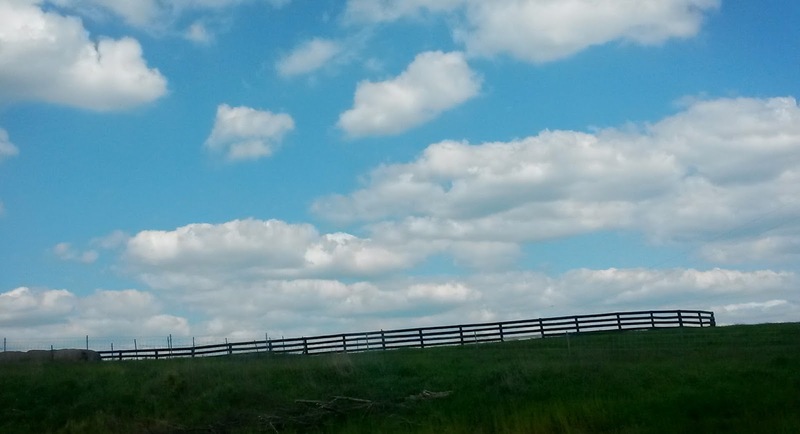 The neighboring city of Lexington is said to be the horse capital of the world. They are plenty here. Beautiful fences in the country. Lovely place. Yes I enjoyed your fences and the sky. 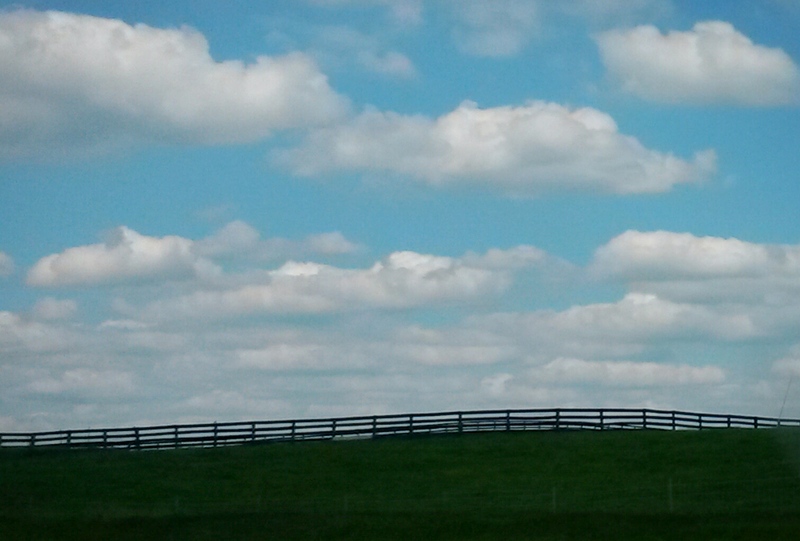 I love seeing the fence on the brow of the hill and the lovely sky behind it. love your pretty territory! thanks for linking in your beauty! These are lovely. What nice homes in that first shot. Love the fencing and the pretty white clouds. Truly beautiful and such long fences. black is a very common color around here in the country for the plank fence. Guess since I see them so much I didn't realize they were uncommon lol. Thanks for stopping by!